Indicator VR Connect controls terminal connection to a broker's server. If there is no connection, the indicator will alert the trader by email or a push-notification on the smartphone. The indicator may also keep records to a CSV file on connection loss time and reconnection. After you start the indicator, a computer icon appears in the lower left corner, green - the terminal is connected, red - no connection to the server. 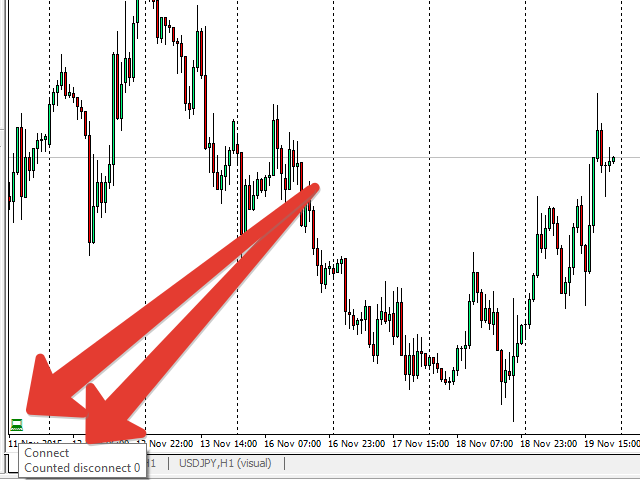 Triple-click on the icon to send a test message or see a report of invalid MetaTrader 5 terminal settings. A comment to the icon displays the number of connection losses since indicator start. 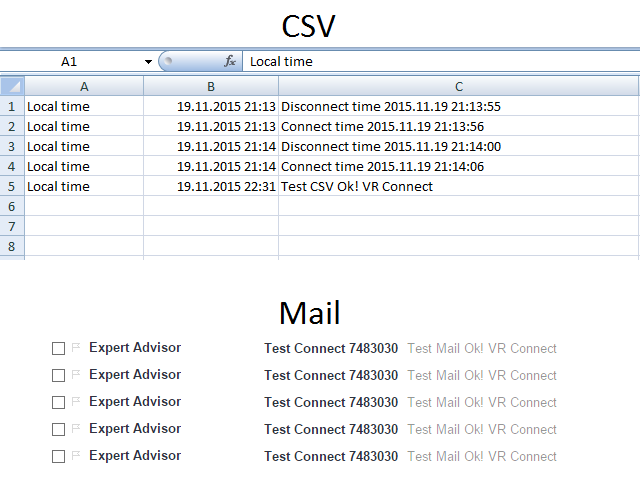 Run the indicator on the terminals of various brokers and enable Logs CSV = On, to compare connections to the brokers. The program is compiled in MetaTrader 5 build 910 and requires build 910 or higher. In case of a reconnect, a trader receives two messages with disconnection and reconnection time. If internet connection is lost, message cannot be sent, and it is sent immediately after reconnection. So the trader receives two messages. Corrected message text and text of test messages.